Matt Fondy, a Foster City native, attended UC Santa Cruz where he logged an impressive college career leading him to his first professional contract with the Pittsburg Riverhounds in 2011. He moved on to play with Chivas USA and the Chicago Fire of MLS before leading the USL in scoring in 2015 as a member of Louisville City. Following his retirement from professional soccer, Fondy is now pursuing graduate studies at UC Berkeley. Bryan Burke was a standout player at University of San Francisco before moving on to win the 2011 PDL Championship with the Kitsap Pumas. He made his first mark in the professional game with the LA Blues, followed by two seasons with Orlando City before a breakthrough season in 2015 in which he captured both the Assists leader and Defender of the Year awards with Louisville City. 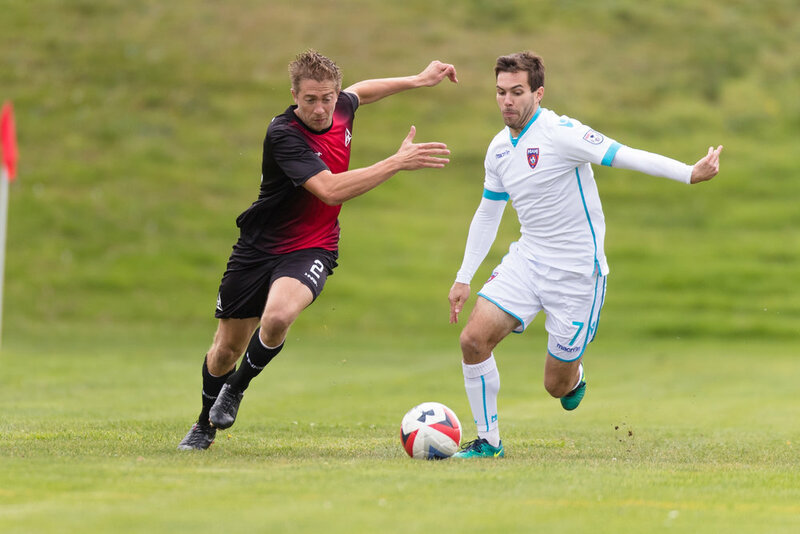 He returned to the Bay Area in 2017 to help the SF Deltas of the NASL capture the league championship. Bryan still resides in San Francisco where he is involved in youth soccer as the CEO and Founder of SF Pro Soccer Clinics. Please join us in welcoming both Matt and Bryan to Oakland Roots! Stay tuned about our brand and club launch and follow us online at www.oaklandrootssc.com as well as on Facebook and Twitter.